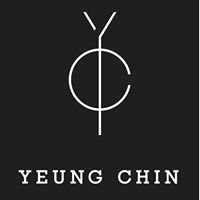 With his eponymous label, Yeung Chin showcased the FW19 collection, military ensembles for men and women. There are deconstructed military jackets and blazers and form-fitting asymmetric cuts that convey a strong female image. This functional collection includes practical items like sweaters and windbreakers, with contrasts in matte and glossy materials for an edgy, sporty vibe.